Solicitor - Firm established in 1871 at 7 Fold Street, Bolton. Represented Derby Ward 1874-80 and West Ward 1881-83. Alderman for West Ward from 1883. In 1887 he was joined in business by George Fernihough and the firm became know as Fielding & Fernihough. The company continues to trade in Bolton as Fieldings Porter. His wife, Esther, was Mayoress. His son Harry Fielding died suddenly of pneumonia in Le Havre, France while serving with with the Army Service Corps, 46th Division Ammunition Column, on 23 February 1916. 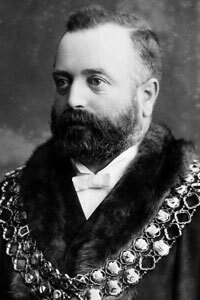 Formal portrait of Matthew Fielding as Mayor of Bolton. 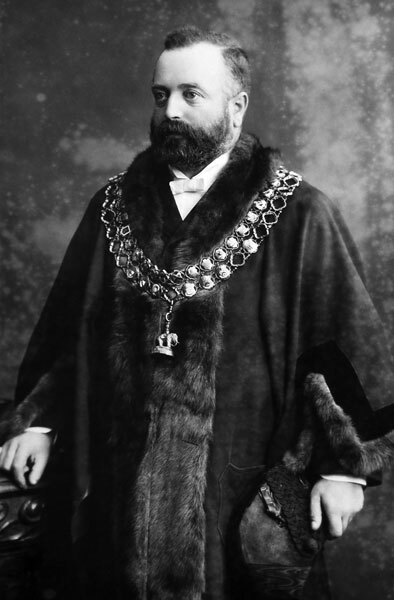 Matthew Fielding's link on the Mayor of Bolton's Chain of Office. 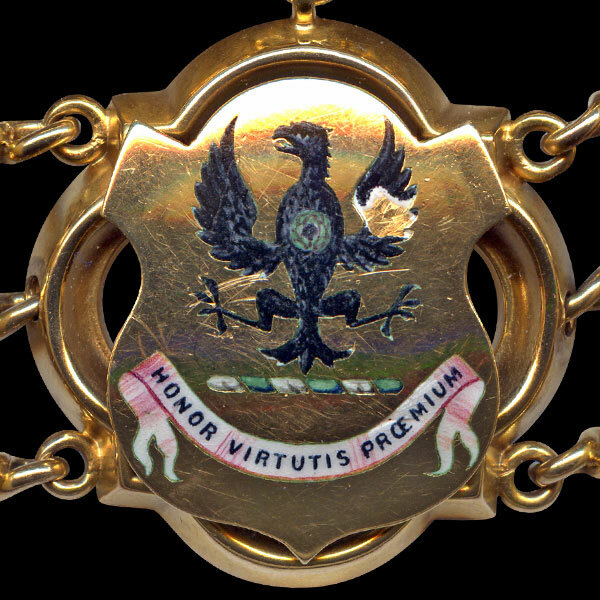 Crest = On a wreath argent and vert an eagle displayed sable charged with a chaplet vert on its breast. 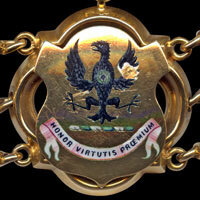 The crest and motto (without the chaplet) belonged to the old Middleton Grammar School.